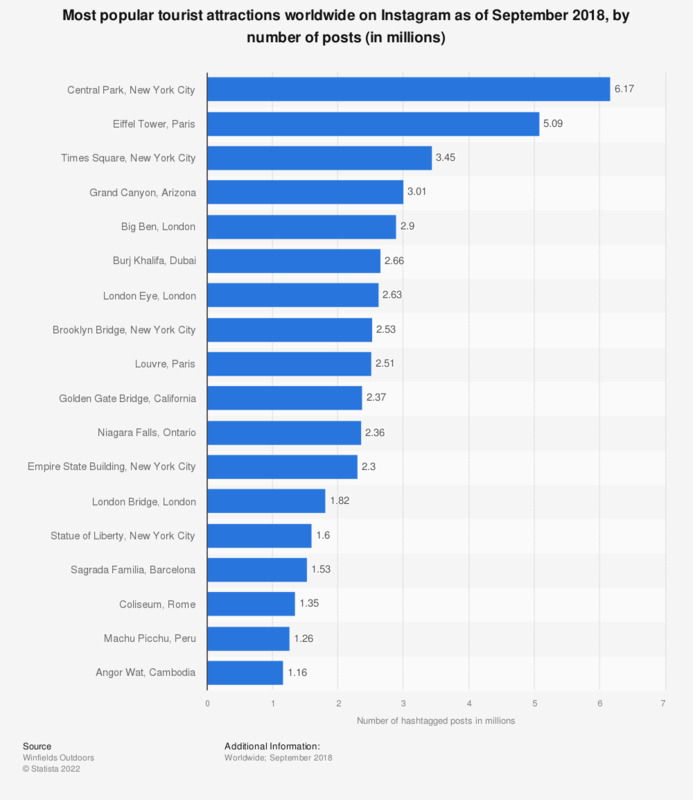 This statistic presents the most popular tourist attractions worldwide on Instagram as of September 2018, sorted by number of posts. As of the measured period, Central Park in New York City, was the most popular place on Instagram with around 6.17 million mentions in hashtags. The Eiffel Tower in Paris, France was the second-most "instagrammed" tourist attraction.